One person is dead and another injured following a crash Wednesday afternoon on southbound Highway 87 in San Jose, according to the California Highway Patrol. 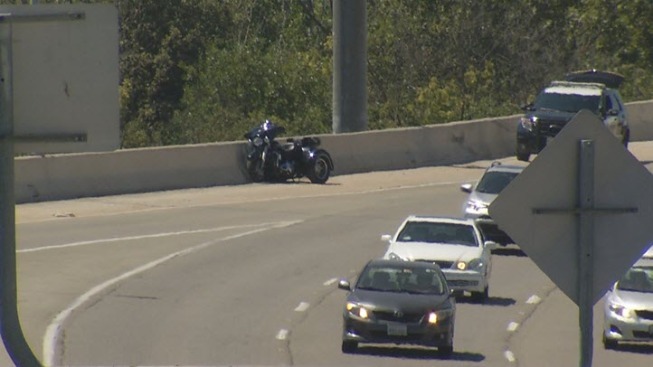 Police said a three-wheeled motorcycle crashed into a soundwall. One person was thrown over the guardrail and fell 20 feet down an embankment. A coroner is en route to the scene and the No. 3 lane is blocked, officials said.